We consider anisotropic models of the Universe in the presence of a Brans-Dicke (BD) scalar field ϕ, a causal viscous fluid and a barotropic fluid. 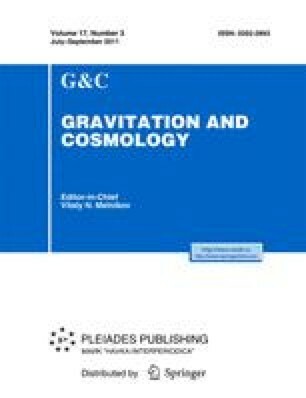 We show that, irrespective of the fluid, the causality theory provides a late-time acceleration of the Universe. If deceleration occurs in a radial direction and acceleration in the transverse direction, then the anisotropic Universe will accelerate for a particular condition in a power-law representation of the scale factors.